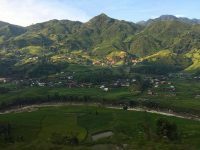 The mountainous Northeast region of Vietnam, with its many rivers and islands of varying sizes, is home to a wonderful array of plants and animals. 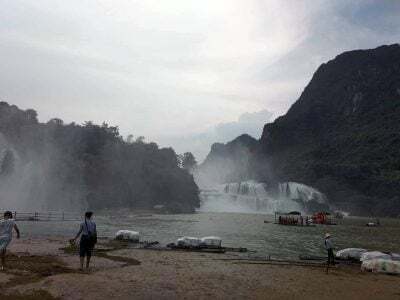 This 3-day Ba Be Lakes & Ban Gioc Waterfall Tour From Hanoi takes you on an adventure through some of the most aesthetically pleasing sceneries of the region. 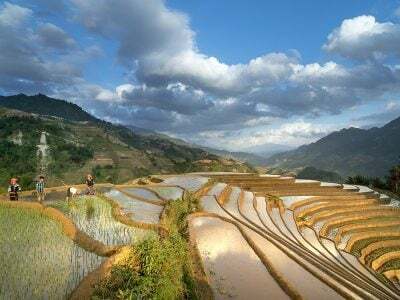 The tour highlights include the sights of the largest natural lake in Vietnam – the Ba Be Lake while being regaled with the chilling tale of the legend of Ba Be Lake. The lake is composed of three main inflows, three islands and is a part of the Ba Be National Park. An exploration of the untamed landscapes of Cao Bang province also features in the tour, where you get to see the area where Vietnamese people lived thousands of years ago. 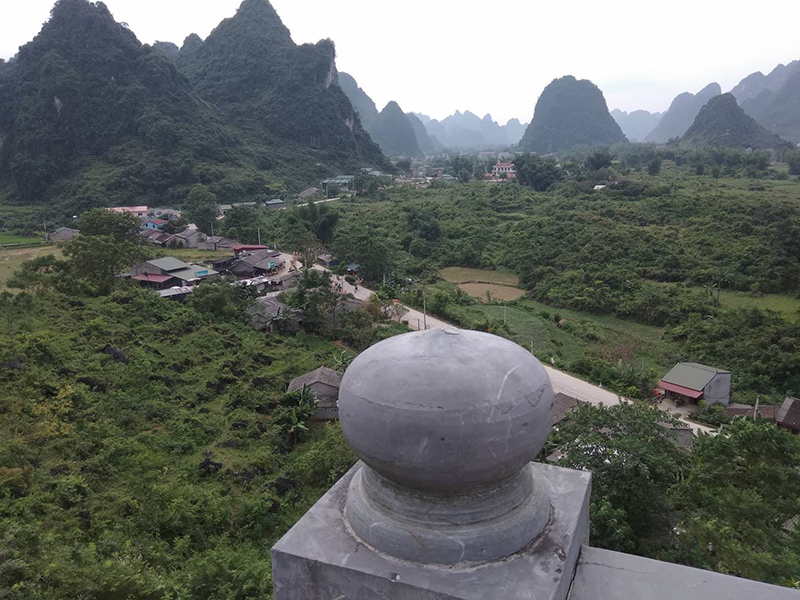 Cao Bang Province offers many historical sights and landmarks including an exhibition center where the revolutionary history of Vietnam is displayed. The tour also takes you to the spectacle that is the Ban Gioc Waterfalls which has been around for thousands of years. It is surrounded by an area of vast karst formations and comprises two different Waterfalls which are given the collective name ‘Ban Gioc’. Rafts can be used to transport tourists closer to this awesome natural feat. 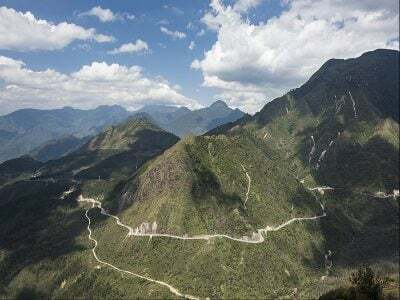 Along the top of the falls, there’s a road that leads to a stone demarcation between the borders of China and Vietnam (if you’d like to know what it feels like to be in two countries at once!). 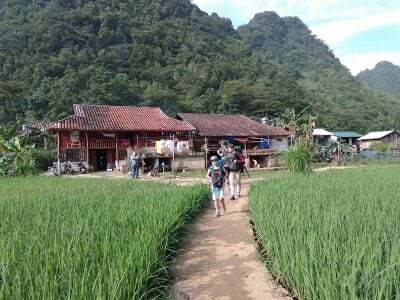 During the three-day period of traveling through parts of the remote plains of Northeast Vietnam, you will be accommodated via homestays, enabling you to learn more about the history and unique cultures of the locals and also to observe local life. Early morning pick-up from your hotel in the Vietnam capital city of Hanoi. A drive of about 1hr 30mins to Thai Nguyen city to explore the Museum Of The Cultures of Vietnam Ethnic Groups. The museum houses a collection of pictures, artifacts and other exhibits which give you a better insight into the lifestyle, culture and religious practices of the various ethnic groups in Vietnam. 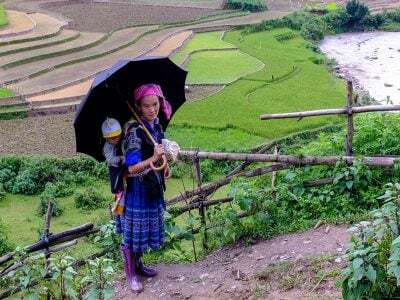 Lunch will be made available thereafter, before the long journey northwards towards the ancient Cao Bang Province. Along the way, you’ll see numerous rice-producing fields and villages and there will be a short stop at a popular tobacco-producing village. 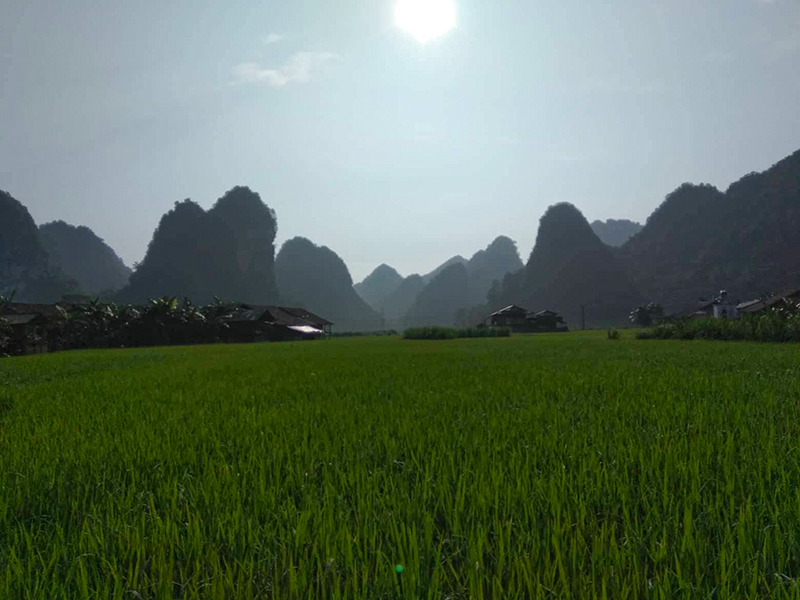 The day will end in the Quang Uyen district of Cao Bang, where you’ll dine and stay with a local family. After a night of rest, the tour continues after breakfast on the second day of the tour. You will continue towards the spectacular Ban Gioc Waterfalls, by way of the rocky terrains of Phuoc Sen(a village well known for its blacksmithing works). 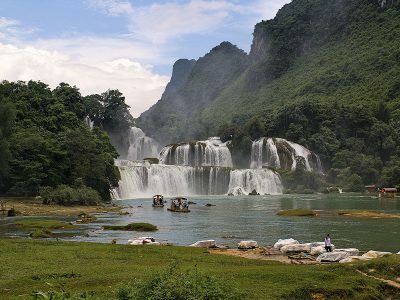 The Ban Gioc Waterfalls is the 4th largest waterfall on a national border and spans halfway in Vietnam, with the other half in China. You will be able to take in the full spectacle, against the backdrop of the beautiful, hilly landscape and also acquire memorabilia of pictures. The tour goes on to explore the underground labyrinthine caves of Nguom Ngao, further accentuating the sense of adventure. 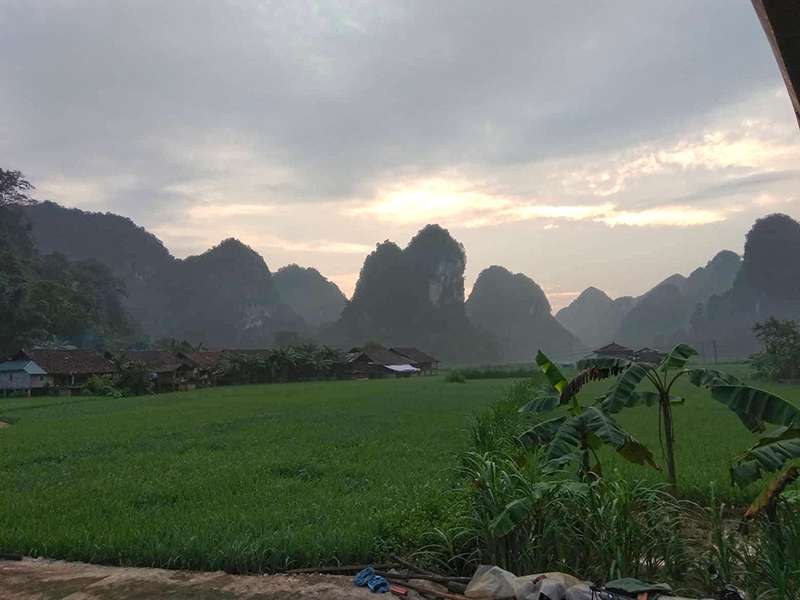 After admiring the numerous geological structures of the caves, the tour returns to Cao Bang and head down to Ba Be Lake where you enjoy a dinner of homemade local food at another homestay. The tour continues the following morning. 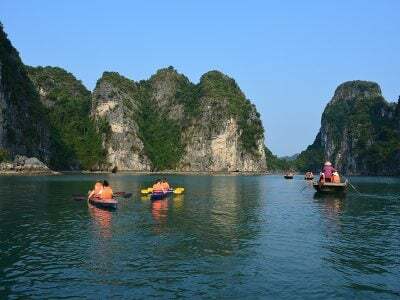 The Ba Be Lake boasts of a unique scenery of the wild, mountainous landscapes of parts of Northeast Vietnam. After enjoying a refreshing breakfast, you can take in the beautiful sights, take a swim in the lake, observe, explore and encounter some of the numerous plants and animals housed by the Ba Be National park. 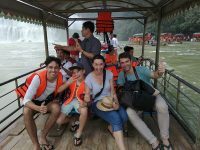 You can enjoy a boat ride along the Nang river, which is one of the three main inflows of the Ba Be Lake alongside the Ta Han and the Nam Cuong rivers. You can also explore the underground enclosure of the Puong Caves with the tell-tale signs of many years of erosion. Eventually, you will be transported back to the Capital city with short stops at tea plants along the way. The trip back to Hanoi usually takes about 5 hours, with lunch made available. Please inform of dietary requirements such as allergies or vegetarian food requests. Our team at The Terrible Tour Guide focuses on providing quality, affordable, original and above all responsible services. By taking part in our adventure, you play a big role in our effort to invest locally, be eco-friendly, and be involved culturally. 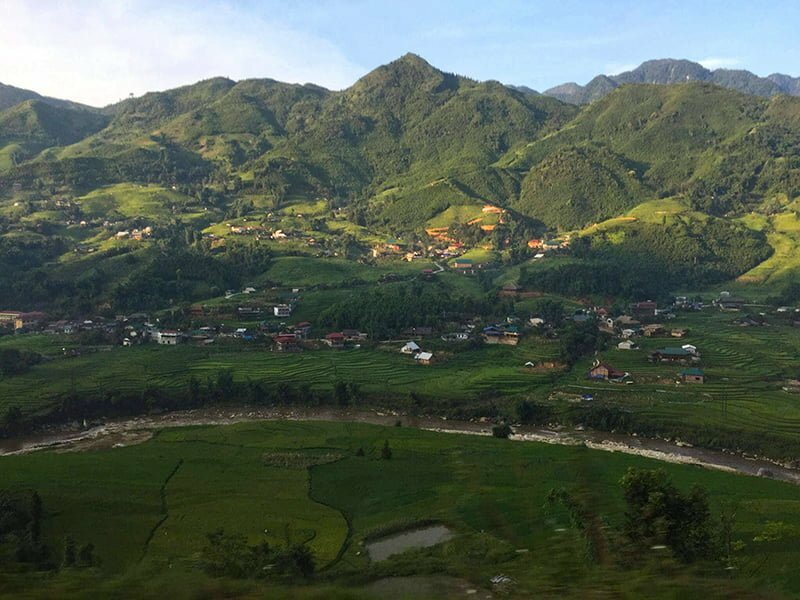 We had an amazing adventure with Huy and our driver Nhan spending 3 days and 2 nights traveling in Northern Vietnam. From the homestays to the Vietnamese cuisine,the incredible sights and the cheerful disposition of both, our trip was memorable. I would highly recommend this tour to those who want to truly experience Vietnam. Despite Vietnam losing the soccer match against Iraq and despite Huys inability to spot the pigs in the rice paddy, his good nature and friendly disposition was heartwarming. Great to work with and will customize the trip to what you are looking for! 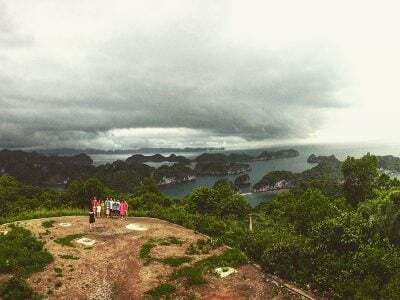 We had an amazing time a bit off the beaten path and Huy was terrific guide offering a variety of insights on history, locations, people and culture! Wir waren gemeinsam mit unseren Söhnen (20 und 11 Jahre alt) und unserem großartigen Tour-Guide Phuc (Peter) vier Tage auf einer Privattour zum BaBe-Nationalpark und zum BanGioc-Wasserfall unterwegs. Schon die Vorbereitung mit dem “The Terrible Tour Guide-Office” hat uns begeistert – alles war unglaublich professionell, schnell und zuverlässig. Wir haben die Tage abseits der großen Touristenströme sehr genossen. Phuc hat uns viel gezeigt und uns rundum umsorgt. Die Übernachtungen im Homestay waren wunderbar, die Familien tolle Gastgeber und das Essen fantastisch (auch an mich als Vegetarierin wurde immer gedacht). Wir haben uns nach den Tagen in herrlicher Natur kurzfristig entschieden doch noch einen Abstecher zur Halong-Bucht zu unternehmen. Phuc hat das zusammen mit unserem Driver sofort perfekt für uns organisiert. Die gemeinsamen Tage mit Phuc waren für uns das Highlight unserer Vietnam-Reise und wir würden beim nächsten Mal sofort wieder über “The Terrible Tour Guide” buchen. Und ein nächstes Mal gibt es bestimmt – denn es gibt für uns noch so viel zu entdecken in diesem wunderschönen Land. Danke an alle und ganz besonders an Phuc! We, the terrible Portuguese ( me and my friend) went for a 4D/3N trip with out terrible guide Phuc (Peter) and we have a fantastic time. The landscape is beautiful and we loved babe lake and the waterfall. We also seen some amazing caves. We also had the opportunity to join a local family ( 4 generations) for dinner and it was amazing. And We tried so many delicious food! We only complaint about the many hours in the car, but there’s no other way to get to this places. And without that we wouldn’t have our karaoke sessions with Phuc. Phuc is a great guide. He is enthusiastic, kind, funny, a great photographer, singer and he is very well informed. Our driver was also very attentive and caring. We had so much fun during the tour. Both the guide and driver are so accommodating and understanding. Long drives in the car is filled with many history and cultural stories of Vietnam and of course, local food delights during our rest breaks. The homestays are so memorable. Lovely hosts, delicious food, wonderful drinks. Plus all the beautiful places of attractions. Yes, it will be Terrible if you don’t join them for a tour.